Freeride and the downhill are the popular forms of longboarding. Some people misunderstood the differences between freeride and downhill longboarding. But these are two different form of longboarding. Tough freeride is similar to the downhill longboarding. But It is trickier and requires techniques to do this. You can use a free ride longboard for downhill longboarding but it is only recommended for beginner level. To ride a longboard like intermediate rider whether in freeride style and for downhill You have to consider some important longboard choosing factors. Most of these factors are the variation of design, styles, and components. Keep reading as I am going to tell you about the key differences between freeride longboarding and downhill longboarding. You will also get the idea How to choose the components for these two longboards. The styles on downhill longboarding are pretty easier than the freeride longboarding styles. 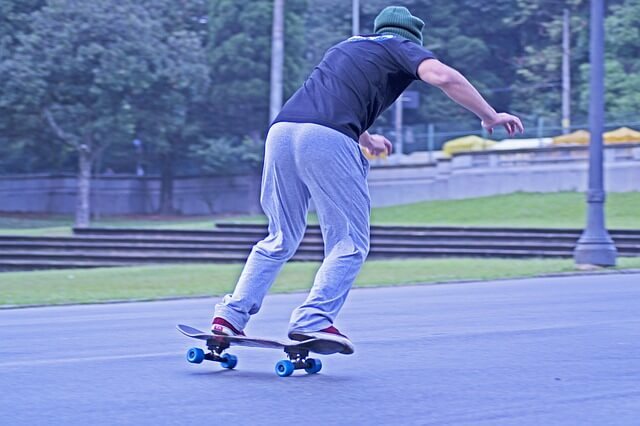 Some of the styles of downhill longboarding are slide, drift, air brake. Without knowing these tricks, you will not able to do downhill longboarding. You must have the proper skill of quick stop while necessary. Because most of the accident of downhill loan boarding happens from not able to stop the longboard in the loop. Some of the longboards are perfect for downhill longboarding which are Drop-through, drop-platform, and top-mount longboards. To ride a longboard in downhill you have to know the complete balancing techniques over you. Otherwise, downhill longboarding is risky for the rider who has less balance on them. While downhill longboarding requires only three two for techniques. But to ride a longboard in freeride style you have to add more critical techniques in sliding. Generally, sliding style differentiates between the downhill longboarding and freeride longboarding. Some of the sliding technique which are must for freeride longboarding are stand-up slides, hands down slides, and foot braking. Longboard riders apply these techniques while they ride for downhill longboarding. The longboard choosing guide for freeride longboarding is same like the downhill longboarding. But you have to consider the use of component and design to buy the freeride and downhill longboards which are below. The deck dimension of a downhill longboard is different than freeride longboard. The length of the deck of a downhill longboard should range for 37-43”. Choose a longer deck because shorter deck increases the speed which is too much risk for the downhill ride. The width of the downhill longboard should not less than 9”. If you got larger shoes then you can go for 10.5”. Most of the top racers prefer Top through longboard for the downhill ride. And drop through longboards are preferable by the most of the beginner longboard rider. While the top through longboards are faster than drop through longboard. So, you should definitely choose a drop through longboard for freeride longboarding. Because freeride longboarding requires more sliding techniques. While you are doing more sliding techniques then you have to make sure the longboard is running little slow on the downhill ride. That’s why choose a drop through longboard for freeride longboarding. While choosing a longboard for freeride longboarding then the length of the longboard should range from 38-42". And the width of the longboard should range from 8.5-10.5”. The ideal diameter for downhill longboard ranges from 70-75mm. And the ideal diameter for freeride longboard ranges from 68-72mm. Generally larger wheels are faster than the smaller wheels. But too larger wheels will cause the wheel bite and smaller wheels will case the wiring out of the wheels. So always choose a medium size wheel that is perfect for both of the longboarding style. Most of the downhill rider prefer a reverse kingpin truck that is good for handling speed and the bushing suspension makes the ride more comfortable. You can use this truck for both drop through longboard and top through longboard. While choosing the trucks for downhill longboard make sure the truck width is close to the deck width. Ideal truck with for downhill longboard is 10" or 180m. As the downhill longboarding and the freeride longboarding are similar. So, the truck choosing guide also the same for freeride longboard. So these are all the differences between the freeride longboarding and downhill longboarding. Though both of the longboarding styles are for the downhill riding. But while choosing the longboard for any of these longboarding styles always consider the above choosing guides.